Weather forecast for Saturday was looking good and that was enough to make plans for a trip to Italy. Unfortunately the forecast was not entirely accurate - it wasn't so sunny and hot after all. That wouldn't bother me if the air was clear. Well it wasn't. That's why the photos didn't turn out as nice as they could. Even without that we had a wonderful time. This time our destination was the town of Grado. It lies between Trieste and Venezia. It's a very old island town. It is situated just next to mainland and connected by not one, but two roads. Beside churches, stone coffins, mosaics and all sorts of old buildings one can also enjoy in various beach activities. Nowadays Grado is a popular summer destination. It also had to be important in the past - a church has been standing there since the 4th century AD. After a short history lesson we went on a walk around the town. 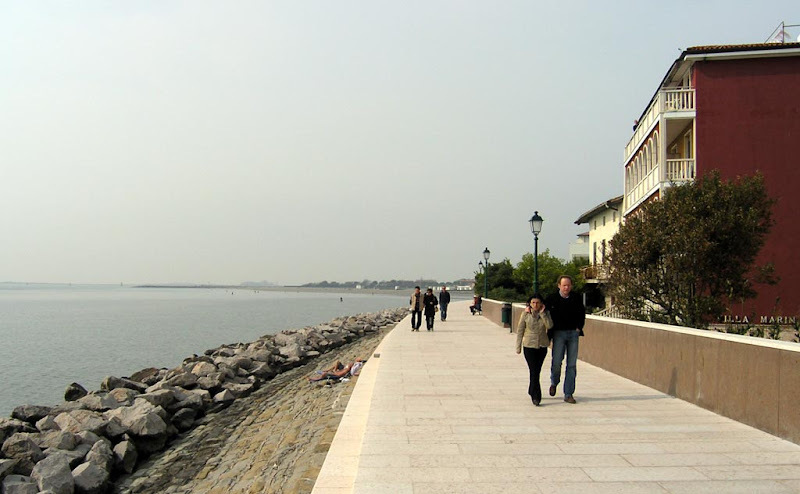 With delicious Italian icecream in our hands we wandered through narrow streets and down the beach promenade. Walking by the beach, we noticed an interesting contrast. Some of the people were sunbathing in their swimsuits, others were passing by still wearing winter jackets and scarfs. Me and my girlfriend were somewhere in between wearing T-shirts. 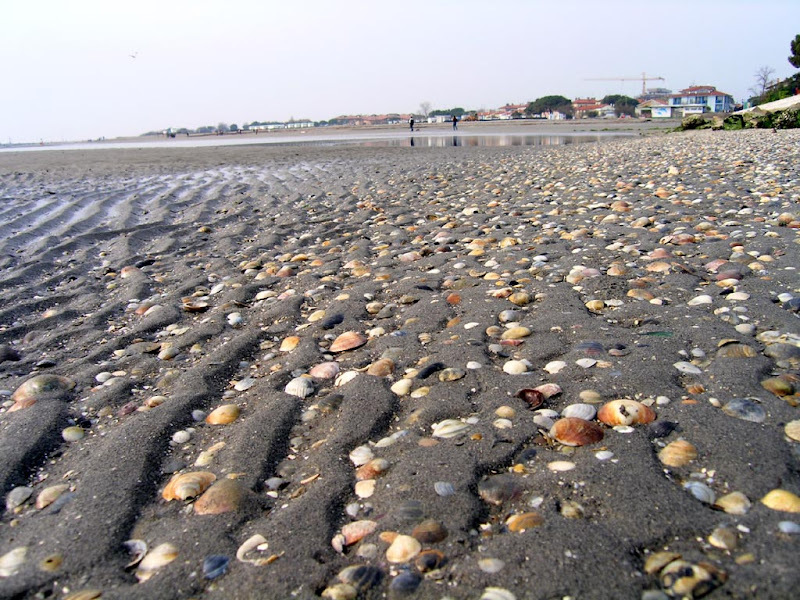 The sandy beach bellow the promenade was cowered in seashells. Millions of them. After a few hours of relaxation we decided to move on. 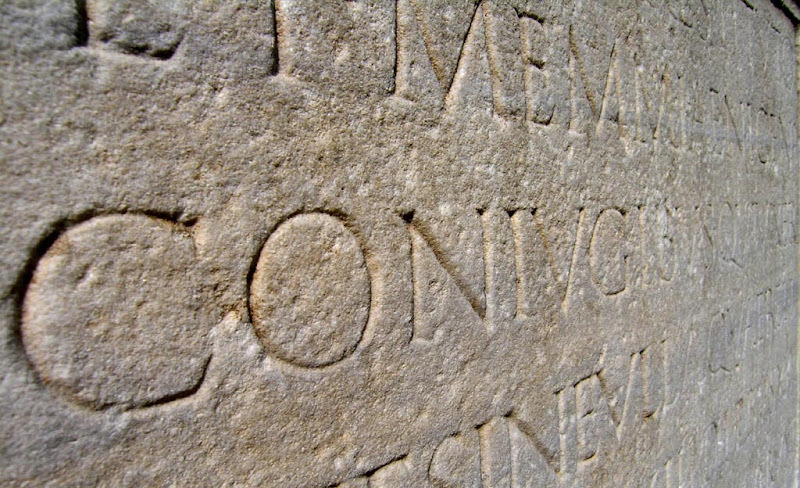 We went to see the city of Aquileia a few kilometers north. Wow, that is a whole lot of seashells! Beautiful places. Congrats! It's good for a vacation! Well, despite the weather, I am glad you visited this wonderful place.